A sneak peek into what's been going on this month in my Petaluma, CA studio. I'm getting a bit more settled each week and keeping my hands busy printing, binding, and planning. Scroll on to see what has been keeping me busy. This was the first week of my new studio in Petaluma, CA. It's looking better now and more cozy. Lenny, my No.4 Vandercook, made the cross country trip with no problems. Huge sigh of relief. Binding books has been a natural start to my time in California. Right now I'm primarily binding leather longstitch journals. You can find a few for sale in my webshop. 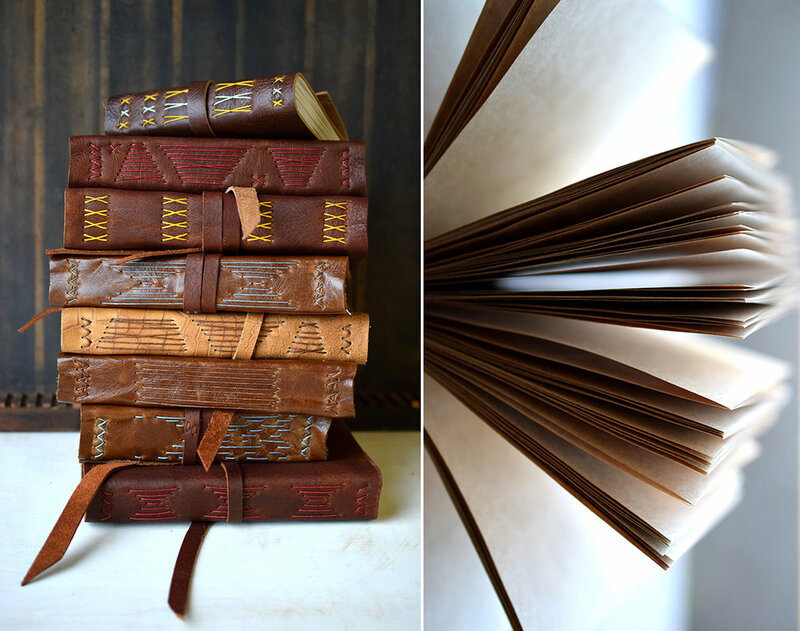 I've lined up a binding workshop at North Bay Letterpress Arts in Sebastopol, CA April 7 & 8. Registration is open so check out all of the details HERE if you're interested. 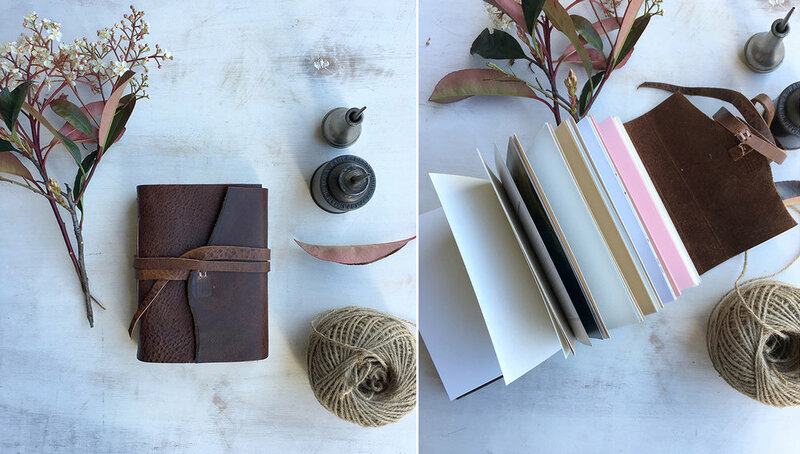 Small, smooth, tan leather journal with mixed pages. This large mountain print is one of the first letterpress prints I've worked on since being out west. It's printed in 5 passes of blues and at 11x14 it fits perfectly into a standard frame. Lots of mountain stationery sets being letterpress printed this year helping to make staying in touch or saying thank you a little easier. Book pages and blossoms. Spring has arrived much sooner than I'm used to. The first 3 months I was here everything was golden, yellow, and brown. Now its the rainy season and things have greened but that warm pallet is sticking with me.